KITCHENER – Janice Lee is Kitchener’s artist-in-residence for 2015. Folk artist, storyteller, poet – Lee is interested in telling the stories of our community as they are happening, as a way of capturing our contemporary history. “I love living here in my home of Kitchener. I feel a lot of pride and joy in our city. My role as artist-in-residence is to convey our contemporary stories through art and to carry these stories forward,” she says. Lee combines her literature background in English and political science with political activism to create art that is engaging and inspires positive social change. Her stories take the form of poems, songs, film, scenes, and images. 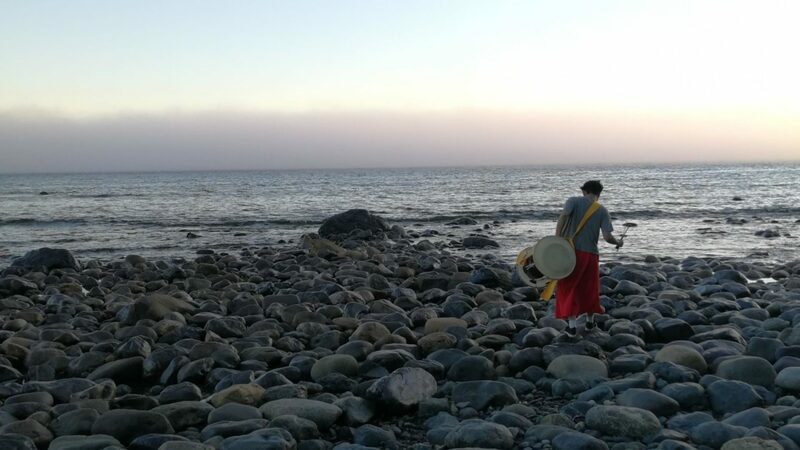 Her residency project, Folk Myths of Kitchener, involves creating four video poems and poster editions that stem from a collaborative process with the local community. 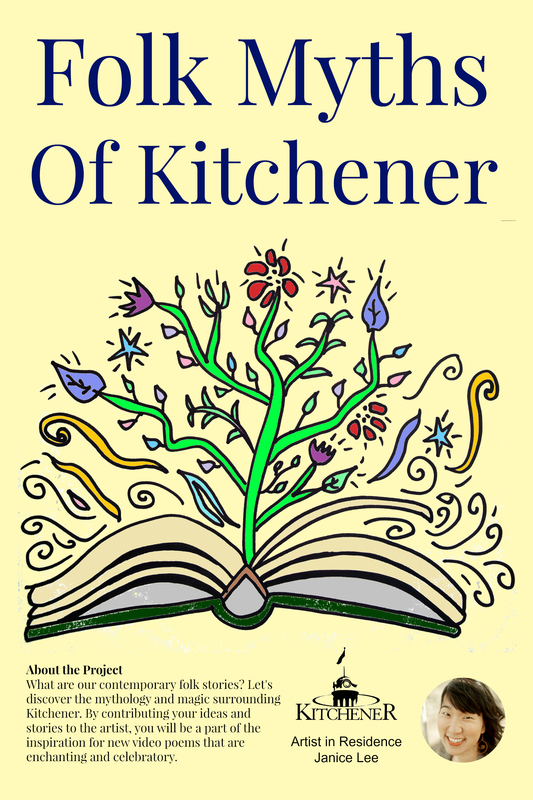 The poems will feature the Kitchener Market, Kitchener Libraries, the Iron Horse Trail and Downtown Kitchener, which Lee will visit to ask questions like, “Why do you come here? How would you describe the energy here? What are some specific features you appreciate and enjoy?” and “What special things have happened to you here?” She will also invite participation through social media. Saturday, May 9 and 16, 9 a.m.-1 p.m. – Story gathering: Why do you go to the market? What are your favourite things about it? Has anything special ever happened to you at the market? Janice will use your input in a poem she’ll write about Kitchener Market. Saturday, May 30, 9 a.m.-1 p.m. – Filming: Be a part of the videopoem being created about the Kitchener Market! The poem has been written with input from the community, and now Janice wants Market shoppers to speak the poem on film. By writing new folk stories that are enchanting and celebratory, Lee aims to create mythology and magic about our city. She aims to discover stories and write poems that create a sense of wonder about our city. The video poems will be published on Youtube, shared on social media and released as digital files. The poetry posters will be displayed at city facilities and throughout the community. Lee will be at various community events at the Market, public library locations, along the Iron Horse Trail and downtown. Checkwww.kitchener.ca/AIR for dates and locations of her appearances.